This renovated barn interior has some highly creative use of plywood going on. The most obvious is the cube in the center that holds a bathroom and utility room on the lower floor and the stairs go up to an office space (I’d put a loft bed up there). Plywood is an inexpensive material and sometimes can be quite beautiful in its simplicity. 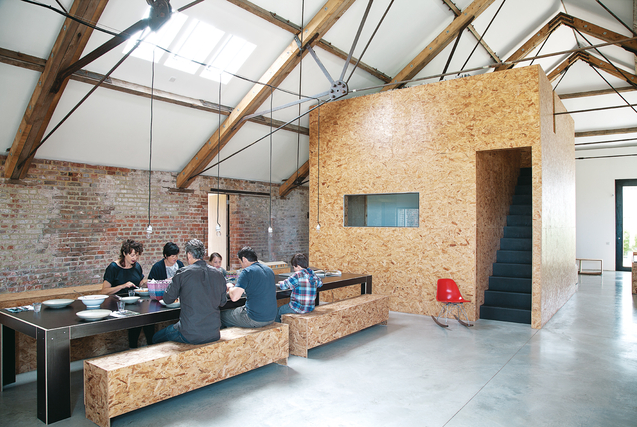 The benches and table in this picture from Dwell also are made of plywood. See more “Barns Ennobled” at Dwell. 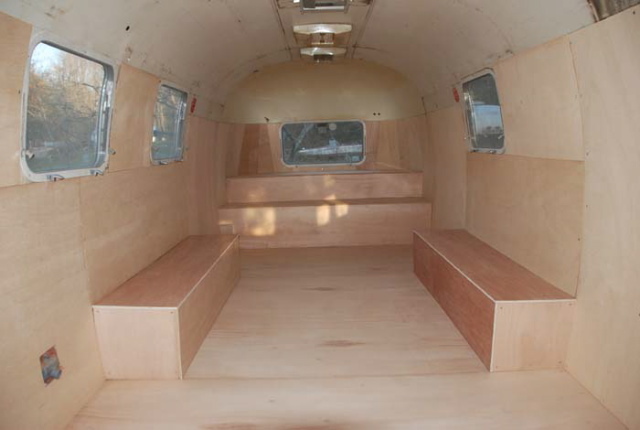 We used a thin plywood to line the interior of a vintage Airstream that we had gutted to turn into an art gallery annex in Maine. I’ve also seen it used as a flooring material where price is an issue. I personally love the scent of plywood that’s recently been cut. Can someone bottle that? I just found these pics and added them to the post. 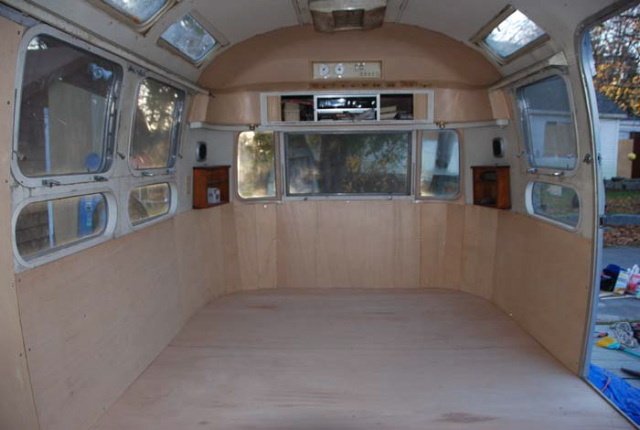 My bf wanted to make another gallery space —inside a vintage Airstream— and plywood was what he chose to line it with. We are still hoping to complete the domed ceiling with plywood. . .
For yet another cool utilization of plywood in a 450 s.f. warehouse loft buildout, jump to this link at Apartment Therapy.